Mike Prendergast concentrates his practice on providing representation and counsel to management in the private and public sector in matters related to employment law. He routinely represents employers in employment litigation in state and federal court and before various administrative agencies. Providing preventive advice is also a significant focus for Mike, and he assists clients in resolving and avoiding employment law issues by developing practical workplace solutions to comply with the myriad of federal and state employment laws and regulations. Mike has experience representing clients in a broad range of industries including construction, transportation, shipyards, paper and paper products, automotive, healthcare, food distribution, grocery and beverage. 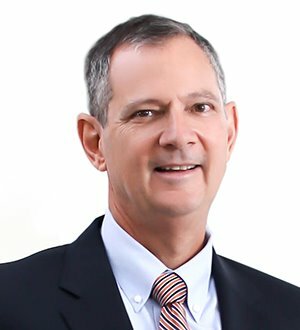 He has advised these clients in issues relating to union avoidance, collective bargaining, arbitration, employment discrimination, sexual and other forms of harassment, disability issues, affirmative action, family and medical leave, minimum wage, overtime and child labor laws, reductions in force (including employee notification requirements), non-compete, confidentiality and trade secret issues, public and private sector whistleblower claims, workplace safety and health, and various work-related constitutional and common law claims. Mike also advises government contractor clients in preparing and updating of affirmative action programs and in responding to Office of Federal Contract Compliance Programs (OFCCP) desk audits. He has also represented employers in OFCCP investigations and has defended employers in OFCCP claims seeking class-wide relief. In addition to providing employment law counsel, Mike is adept at navigating the complex legal issues associated with labor relations. He regularly conducts training programs to help employers remain union-free and has represented clients before the NLRB and the Florida Public Employee Relations Commission. Mike has represented both private and public sector clients in collective bargaining and has assisted private sector clients in responding to strikes and strike-related violence. He also has experience advising public sector clients regarding the State of Florida’s impasse procedures. Mike has a breadth of experience in occupational safety and health regulations and has represented employers at OSHA inspections. He has also assisted employers in responding to citations from OSHA and has defended employers in administrative litigation before the Occupational Safety and Health Review Commission. Mike's experience with OSHA cases includes cases which involved workplace fatalities and attempts by OSHA to impose substantial fines and mitigation obligations on employers accused of willful violations. Mike's public sector experience includes defending clients facing equal protection, free speech, due process and political patronage claims and has assisted public officials who were sued in their individual capacities in avoiding liability based on qualified or absolute immunity. He has also represented clients in claims filed with the Florida Commission on Ethics and in investigations by the governor's office and the Florida Department of Law Enforcement.